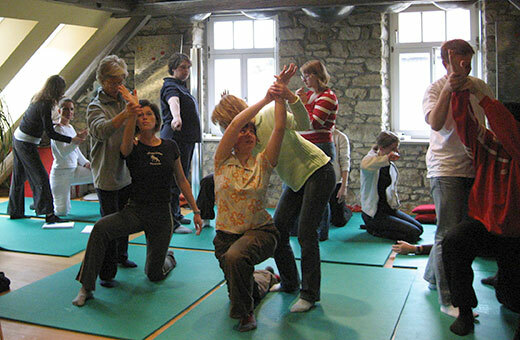 PNF is one of the most recognized treatment concepts in physical and occupational therapy since the 1940´s. The Philosophy entails that one can learn to use potentials, to mobilize reserves for accomplishing activities in daily life. The main therapy goal, independent of the pathology, is to enhance the client´s quality of life and enable the best possible quality of movement to attain safe and economical movement strategies. Facilitation of essential functions, such as Breathing, Eating and Swallowing. Neurodegenerative Diseases such as, Cerebral Vascular Insult (CVI), Parkinson, Multiple Sclerosis. Neurotraumatological Injuries, after Traumatic Brain Injury (TBI), Whiplash, Spinal Cord Injury. Sports Injuries, entailing complex Bone, Ligament and Capsule Lesions. Degenerative Othopaedic Pathologies, such as Herniated Disc or Arthritis and Craniomandibular Dysfunctions. Symptoms such as, Tinnitus, Dizziness, Migraine Headaches and Fibromyalgia, which lead to a poorer quality of life.